It takes a certain kind of talent to write a love song without resorting to embarrassingly schmaltzy clichés. Marvin Gaye was a master at the art. Luther Vandross and Alexander O’Neal were perhaps the greatest exponents of the “soul ballad” during the nineteen-eighties and, right now, The Phoenix Rose‘s characteristic frontman Jarvis Smith is proving himself more than capable of not only adopting the classic elements of what is arguably the most difficult genre to convincingly pull off, but also to reprise them in a manner which sits comfortably with today’s contemporary audiences. There are hints of reggae, pop, jazz fusion, trip hop and rock all over this record. The most patent thank you note to the band’s obvious hero Bob Marley is the excellent, choppy ska beat of ‘Is This Love?‘ (no, not THAT one), which is like a summer beach party, soundtracked towards the end by some exuberant, seering rock guitar (provided, coincidentally, by none other than legendary Wailers man Junior Marvin. Immediately following this one is the brilliant former God is In The Tv Track Of The Day that is ‘Destination‘. Probably no need to reiterate what I said about this one at the time but it remains as infectious as a common cold. Anyone who read the latter piece, or has heard The Phoenix Rose before, will be well aware of the environmentally conscious aspect of Smith and his band, and this is evidenced best on the aptly titled ‘Planet‘, a slab of fervent funk grooves that suggest the band are no strangers, either, to the work of Parliament. The lyric “The planet might get hot, oh yeah, and we’ll never see it again” might, on the surface, seem overly simplistic, but in the context of the song itself, it works perfectly. The cartoon reggae-pop of ‘Come Follow Me Now‘ calls to mind early No Doubt, musically at least, while Smith’s exquisite vocal style is soulful, convincing, and charged with emotion throughout the album as a whole. Sometimes, Smith comes up with tunes that could have flowed from the pen of Gary Barlow, and I mean that with the greatest of respect, but somehow in The Phoenix Rose’s hands, they are turned into something more, possessing a broodiness, an uneasy calm perhaps, and some quite riveting musical developments and diversions along the way. It’s not ALL about Smith though, for the remaining members of the band – guitarist Remmi Jalorr, bass player Otis Kirton and drummer Justin Rabbetts – as well as the prominent vocals of the superb Indian singer Rita Morar – all bring their own unique qualities to proceedings and ensure that this tight knit group’s debut long player is one you’ll want to hear over and over again. 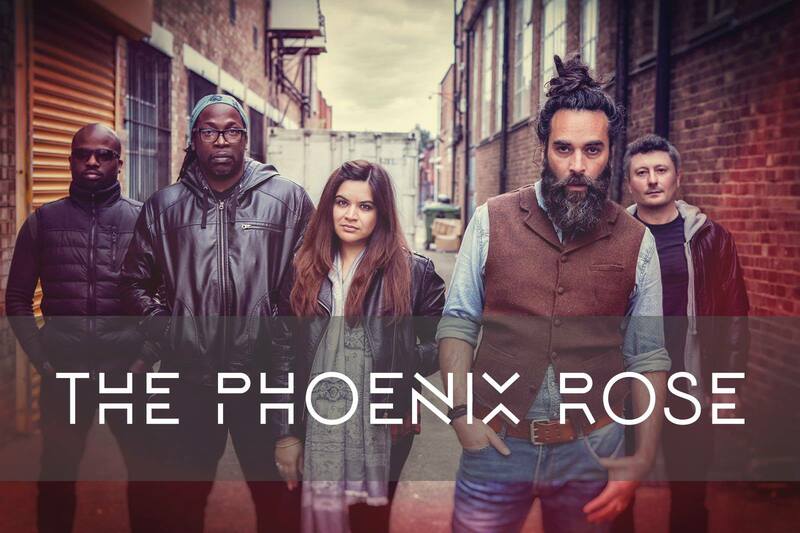 The Phoenix Rose’s self titled debut album is released on 6th May 2016 through GYPSYPOP.